Bitcoin technology’s future is very unclear. Many have predicted that it is the next big global digital currency, and that it will be able to transform the financial system, due to its technology – Blockchains. However, Bitcoins face several restrictions that could eventually lead to its downfall. Let’s see what these challenges are and how will Bitcoin deal with them? Bitcoins: why they are evolutionary? Bitcoin differentiates itself from any other payment method seen before because, it is decentralized, uncontrolled, no central bank or country. The idea is that instead of having just one institution verifying the legality of transaction, Bitcoins payments can be verified by any user of the network. According to Bitcoin advocates, this simple payment verification eliminates the power imbalance that currently exists between users and financial institutions and it makes it less vulnerable to dictation of prices and requirements. Since there are so many miners, it is hard that they will voluntarily increase the price of their activities, of that they will start imposing requirements on the type of individuals allowed to make transactions, as Banks do. At the same time, Bitcoins transactions are considered safer than Banking transactions because they are stored in a permanent record and are considered to be more transparent, since all the information is accessible for everyone, different than Banking transactions. Many banks have already started studying and incorporating Bitcoin technology into their system. Banks like Citigroup and Goldman Sachs have been working on their own digital currency. Furthermore, many others have started to study how to incorporate the Blockchain technology into their systems, for record keeping and smart contracts and even some countries. However, there is the possibility that such efforts will be contra productive, as Bitcoin technology has been the future replacement for banks. Of course, this is a small probability, since Bitcoins has to deal with a lot of constrains before it is able to increase operation. Bitcoins transactions function on a rewards scheme. Miners are rewarded new Bitcoins from the system after they have verified transactions, which leaves the question of what will happen when the number of Bitcoins runs out. Will Miners still be encouraged to participate once they should only rely on the payments from transactions? Since the number of Bitcoins in the system has almost reached the total number of Bitcoins existent, 21 million, we will soon find out if Bitcoins is sustainable in the long run. Debate on whether Bitcoins can keep up with such an increase in transactions that it would require. Will the future technology be able to support such amount of transactions, or will there be a centralization of control in a hand of few people with access to such? Bitcoin is technically an open community, since its founder Satoshi took himself out of the picture, and with all open communities it has disputes among members as which way it should go. Currently there has been a lot of discussion in the Bitcoin community about the growth of Bitcoin, and many members have expressed their disagreement over the road being taken. However, not having a centralized authority is also the idea behind Bitcoins, and taking that out would significantly change the project. Bitcoins are still very volatile because it has such a small user base, Bitcoins are impacted by transactions and events, which can make the price increase and increase in a short period. It is expected that as Bitcoins become more popular it becomes more stable. Reputation and usability. Bitcoins are still liked to the purchase of illegal drugs and the black market. Although that kind of transaction only represents a small portion of the overall use of Bitcoins, it has been unable to surpass the reputation, especially among the public, which together with the fact that it is not very user friendly, makes adoption slow. Since its invention in 2009, Bitcoin’s popularity has steadily grown. It is estimated that around 11 million people make use of such technology to make everyday payments across the globe, from online shopping to buying their cup of coffee. However, that is still unknown for the majority of the population. Even though it has been around for 7 years, Bitcoins is still a mysterious technology for most people and many don’t know how or where to start using it. Bitcoins still have been facing a lot of resistance from governments. Countries are still studying how to deal with it and which rules should be applied. Most countries are waiting to see future developments before they make any commitment, with a few exceptions such as Japan and Singapore are promising to pass a legislation soon. If many countries still have resistance for Bitcoin technology, the Bitcoin society cannot grow at ease. Startups have problem finding funding and opening bank accounts, since the Banks consider them a risky business: without proper legislation, the banks feel unprotected. What is next for Bitcoins? It is hard to say. Bitcoins is a project still under development, and it time goes it evolves and changes to adapt to the changing necessities. It could surpass its challenges and become revolutionize financial transactions, or it will be unable to deal with financial situations and eventually die. The most interesting part is that Bitcoins is an open community, it will take the direction that its members decide. Furthermore, at Bitcoins.org page there are good FAQs that will help to understand the basics of Bitcoins. 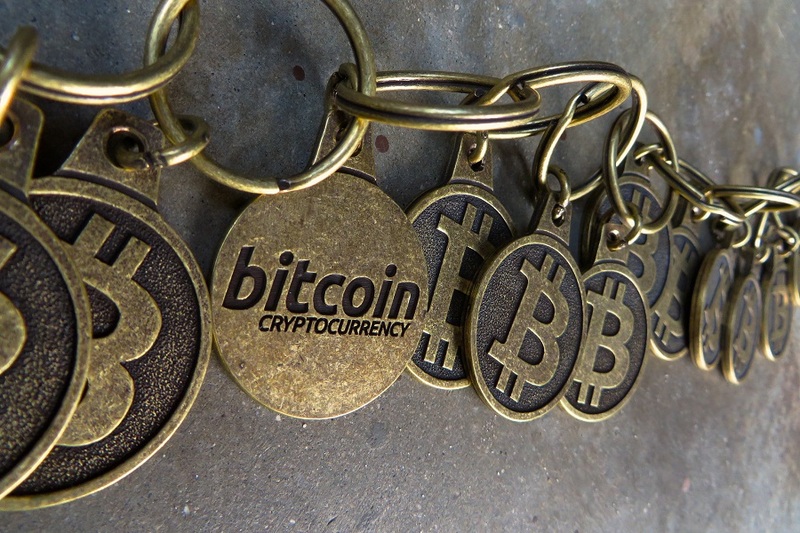 Photo by BTC Keychain, available under a Creative Commons Attribution 2.0 Generic (CC BY 2.0) license. « What Donald Trump means for the future of New Zealand?